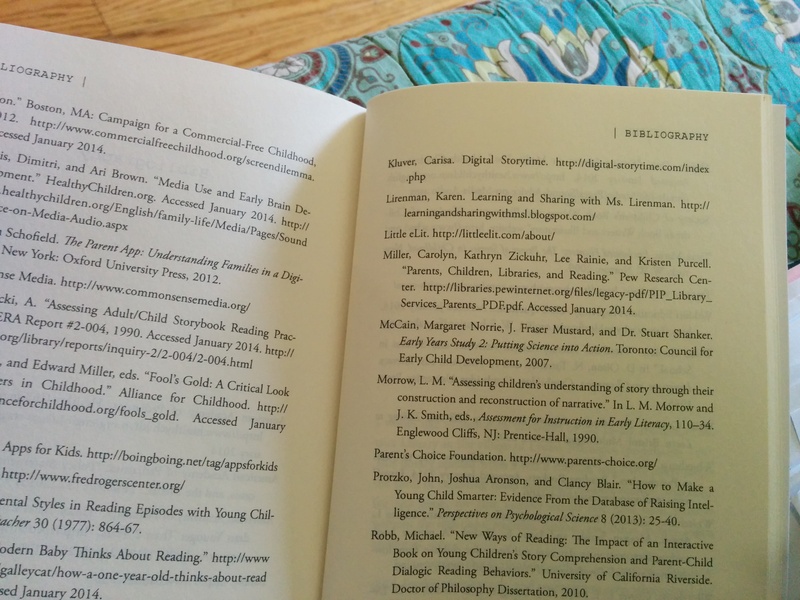 I am very, very pleased to share that I got my ARC of Born Reading: Bringing Up Bookworms in a Digital Age — From Picture Books to eBooks and Everything in Between in the mail…..
….and we’re in it. Many thanks to the following LittleeLit Think Tankers who gave Jason their time, energy & thoughts: Anne Hicks, Betsy Diamant-Cohen, Carisa Kluver, Carissa Christener, Genesis Hansen, Paige Bentley Flannery and Stephen Tafoya. Order this book for your libraries!!!! And mad props to Jason Boog, especially! I’m going to sit down and read now! Posted on May 16, 2014, in Literacy. Bookmark the permalink. 5 Comments. Looks like an amazing book! Congrats on being part of it! Children’s librarians model those skills EVERY DAY in storytime, but we’re obviously not doing good enough job of marketing what we do. Let’s scale this conversation up and yell it from the rooftops! Let’s get the message out, especially around interactive reading with new media. Great point. I will make sure there is space on my website and my digital appearances to emphasize that message. Throughout the book, I urge parents to visit, learn from and support their local libraries. But you are right, we need scale this conversation up and yell it from the rooftops!